If you're enticed by the Nokia Lumia 1020's camera suite but plan on sticking with your older PureView Windows Phone handset for the time being, don't fret - Nokia has promised you'll be able to get in on the action too. 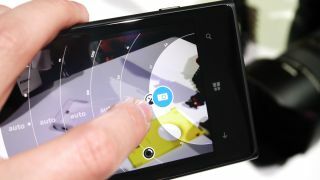 The Pro Camera app will be available to the Nokia Lumia 920, Lumia 925 and Lumia 928 later this year, so long as the handsets have been upgraded to the latest Amber software update. We found there was a whole world to play with in the Pro Camera software, which you can read all about in our hands on review.